A Texas appellate court recently stiff-armed the Buc-ee’s convenience store chain for a poorly considered retention pay provision that amounted to “unenforceable restraints of trade.” The court’s interpretation of the retention pay provision is a learning opportunity for employers who are increasingly using techniques once reserved for high-skilled and specialized workers in an effort to reduce turnover of general employees in a tight labor market. The October ruling stems from a dispute with former Buc-ee’s assistant manager Kelley Rieves, whose $55,000 annual income was divided on her paychecks between hourly pay and retention pay. In exchange for her retention pay, the contract required that Rieves remain employed for at least 48 months and provide six months’ notice before leaving for any reason. Finally, the contract required that she return the retention pay she had already earned if she quit for any reason during that time period, including if she was fired, took a job with a non-competing business or simply left the workforce altogether. When Rieves resigned from Buc-ees after about three years and took a job with a non-competing employer, Buc-ee’s demanded that she return $67,720 that had been classified as retention pay. A Brazoria County trial court initially ruled in Buc-ee’s favor granting summary judgment and awarding attorney fees for Buc-ees, which increased the total penalty to nearly $100,000. The obligation that Rieves return her income was designed to prevent her from leaving Buc-ee’s, but that was not a reasonable restraint of trade under Tex. Bus. & Com. Code 15.50 because it applied whether Rieves went to a competitor or to any employer at all. This is particularly true when an employment contract requires the employee to pay back money they already received – which a lot of employees will have already spent – as opposed to simply forfeiting payments in the future. 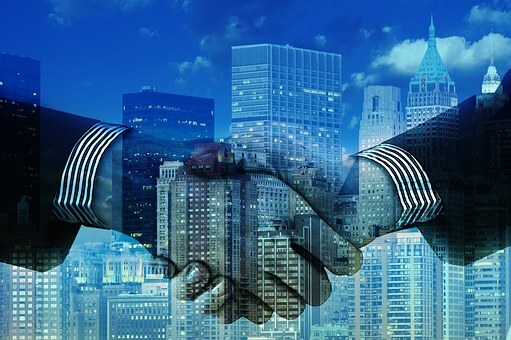 Finally, it is helpful to tie the obligation to a legitimate business interest, such as working for a competitor. Accordingly, retention strategies like these are potentially problematic on several levels, particularly when used for non-skilled, rank-and-file workers. In such cases, employees typically lack bargaining power when they agree to such contracts and often don’t consider the consequences. The stiff penalties for leaving for another job make it difficult for workers to advance in their careers and increase their earning power. When it comes to executive-level or workers with highly specialized skills, employers can make a strong argument for such arrangements, which often hold up to legal challenges. 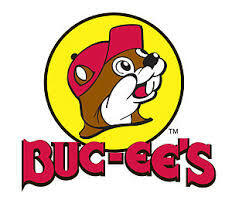 span style=”font-family: ‘Times New Roman’,’serif’; font-size: 12pt;”>The Buc-ee’s dispute is one several recent cases that should give employers pause when crafting retention clauses and non-compete agreements for lower-paid workers. Such policies are also common in the fast-food industry, where franchises often agree not to hire each others’ workers, thus keeping wages down despite a tight labor market. A recent review of 40 fast-food companies found that 32 (including Burger King, Domino’s and Pizza Hut) imposed restrictions in which workers were often not allowed to take new positions without their bosses’ written permission. A lawsuit against CKE Restaurants Holdings and McDonald’s, filed in Los Angeles Superior Court and Illinois District Court, seeks class-action status on behalf of tens of thousands of workers who claim the restrictions have hindered their career advancement. 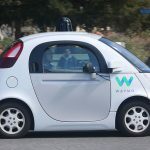 In the year since Google’s autonomous vehicle subsidiary Waymo first leveled allegations that Uber had poached star engineer Anthony Levandowski knowing that he was bringing a raft of stolen trade secrets with him, the contentious litigation has consistently revealed new and tantalizing details about the high-octane culture and mercurial personalities within the two companies. A recently released bombshell document supplied by the Department of Justice created more headaches for the Uber legal team. The letter from former Uber security analyst Richard Jacobs included claims that Uber had encouraged a culture of espionage and trickery to stay ahead in the highly competitive ride-sharing sector. The 37-page letter claims that Uber trained employees to steal trade secrets and hide their tracks, among other things. It also contained an unrelated allegation that Uber had paid a $100,000 ransom to a hacker who had stolen customers’ account information and never reported the data breach to customers or authorities. If true, the workplace culture described in the letter could make it challenging for Uber to convince jurors that the theft of Waymo’s trade secrets was the work of a lone wolf. It’s also creating a credibility problem with U.S. District Judge William Alsup, who was not pleased to learn about the letter just days before the scheduled December 2017 start of the trial. Judge Alsup agreed to Waymo’s request to delay the trial into 2018, adding that “if even half of what this letter says is true, it would be a huge injustice to force Waymo to go to trial” as planned. The November edition of DCEO magazine dives into the recent $500 million jury verdict against Facebook’s Oculus virtual reality subsidiary, describing the whopper verdict as a transcendent moment for businesses that have not yet taken steps to identify and protect their digital assets. DCEO’s Danielle Abril writes that businesses of all sizes and across sectors should consider the large monetary verdict as a warning sign to protect trade secrets and other intellectual property and get a handle on non-compete and non-disclosure agreements before problems surface. 2. Recognize Risky Hires/Partnerships. There can be great value in hiring experienced workers from a competitor, but businesses must appreciate the legal risks that come with such strategies. Abril notes that Facebook/Oculus dropped the ball on this count. Oculus’ COO was not informed of the complications until after the lawsuit was filed, and it was this lack of oversight of the Oculus’ NDA with ZeniMax that resulted in the bulk of the $500 million verdict. 3. 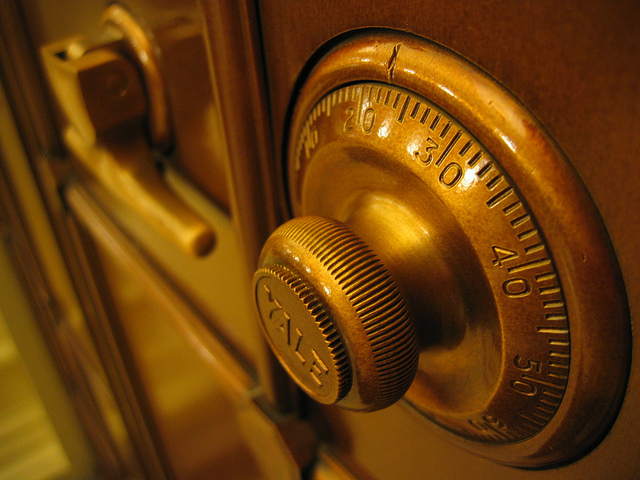 Beware of Transfers of Assets. An eyebrow-raising detail was that Carmack had particular information from ZeniMax stored on a USB drive that he then allegedly took to Oculus, Abril writes. After leaving Zenimax, he allegedly returned for a tool he created there and took that to Oculus, too. While it’s tough for courts to determine whether those specific items were used in development at Oculus, it’s a risk not worth taking. Companies should be vigilant about making sure that employees from competitors don’t take the competitor’s confidential information with them. 5. Give the CIO a Board Seat. Abril stresses that it’s past time for executive leadership to value its chief information officer, and that means reserving a seat on the board for the CIO. As companies struggle to keep up with the changing dynamic of business, strategy becomes essential to avoiding litigation, Abril writes. After all, no one wants to end up with a three-year-and-counting legal battle as Oculus and ZeniMax did. GE shareholders and much of the business world were surprised to learn about the wasteful business travel practices of recently retired CEO Jeff Immelt. The WSJ reported recently that for much of his tenure at GE, Immelt traveled in a corporate jet that was shadowed by a second, empty plane. The rationale for the practice was that a second, redundant plane might be necessary in case of mechanical difficulties that could strand Immelt in remote locations. That’s some flimsy logic for a publicly traded company that has been under increasing shareholder pressure to watch expenses. What’s even harder to explain is the response from Immelt and the Board after the news broke, with each claiming to have been unaware of the shadow plane. In fact, GE’s beleaguered board claims to have not found out about the plane until earlier this month, despite an internal complaint that was logged years ago. Under the “business judgment” rule, executives generally get a lot of leeway in determining what a company should spend money on, as they should. Everyone can be second guessed, no matter what the decision is (just ask the Dodgers’ manager). But this seems a little bit too far. The WSJ calculated that the practice racked up $250,000 in expenses for a single Sept. 2016 international trip that Immelt took and that the plane operated under a code name and a bogus passenger manifest designed to make it appear occupied. There’s no easy way for GE to spin this. It is beyond belief that both Immelt and the board could have been unaware. And if they were, that raises even more questions, starting with who authorized such a wasteful practice and how did they engage in such a massive and wasteful expenditure without board and CEO authorization? Finally, if such a practice was in place without the knowledge of GE’s board and Immelt, it would appear to be a huge gap in internal controls that says a lot of about GE as an organization, and not in a good way. Immelt’s 16-year tenure at the helm of GE resulted in a massive drop in shareholder value, and GE is now the worst-performing stock on the Dow Jones Industrial Average. Once the most valuable publicly traded U.S. company, GE lost more than $150 billion in market value under Immelt’s leadership. New CEO John Flannery is now taking pains to tighten the belt and sending a message that wasteful corporate excesses are a thing of the past. 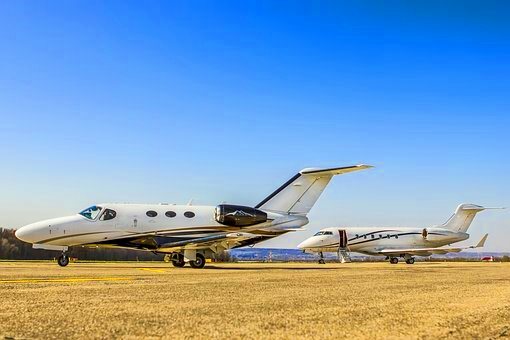 The corporate jet fleet is grounded and the planes are for sale, while a company-car program for hundreds of GE execs is ending, among other things. That’s standard procedure for CEOs attempting to turn around a struggling company. Between its tanking stock, shareholder revolt and these corporate plane abuses, it will take GE some time to get past this hall of shame moment. 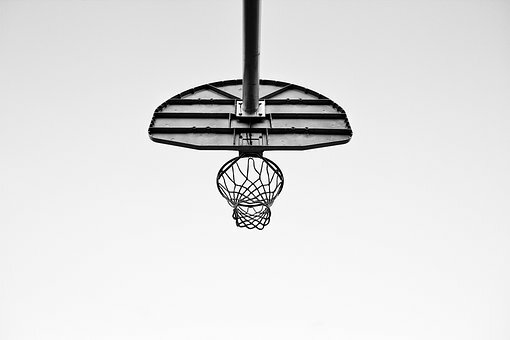 The NCAA basketball kickback scandal is just getting started and it’s already bagged a big one – Louisville’s Rick Pitino, who was forced to resign after details of the wide-ranging probe were unveiled. 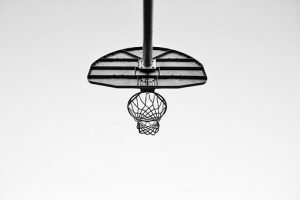 Expect many more heads to roll as investigators unravel an unseemly network of shoe company reps, sports agents, financial advisors, Division I coaches, and parents – all angling to feed from the trough of collegiate athletics. Pitino’s fall from grace raises a fundamental question – why would a marquee coach already under a multimillion dollar salary risk involvement in such a scheme that has now cost him his job and reputation and could lead to criminal charges? Considered one of the most ethically challenged coaches of his generation, Pitino was personally familiar with the NCAA notoriously toothless role as a regulator. Perhaps participation in a scheme like this had simply become the cost of doing business for him. Writes Seth Davis in The Fieldhouse: Neither Pitino nor anyone on his staff was among the ten men who were arrested Tuesday morning. None of the head coaches at the four schools where assistants have been charged were fired. But given the fact that Louisville is already on NCAA probation, and given Pitino’s own sordid past, the school had no choice but to cut him loose. He is unquestionably one of the most brilliant coaching minds ever to prowl the sidelines. He is also one of the most ethically compromised. For more than four decades, the shine of his talent has been greater than the shadows of his controversies – until today, that is, when the University of Louisville put him on unpaid administrative leave in the wake of revelations about an FBI investigation into college basketball. Likewise in the business world, leaders in many cases are too willing to break the rules – not necessarily for personal enrichment – but to maintain a competitive edge. Take the case of former United Airlines CEO Jeff Smisek , who was forced to resign in 2015 after he was caught up in the Bridgegate scandal, which revealed that he had been pressured by Port Authority Chairman David Samson to create an unprofitable twice-weekly flight between Newark and Columbia, South Carolina, to curry favor with Samson, who had a vacation home near Columbia. The scandal cost Smisek his position at the helm of United Airlines; he took a controversial combined $28.8 million severance that included a stipulation that he cooperate with criminal investigations and an agreement to return the funds if the investigation leads to a conviction. The motive for Smisek – and perhaps for a coach like Pitino – was not a desire to enrich their own pocketbooks. Instead, it was the pressure to gain a competitive advantage. Only after they’re caught, it seems, do they have the bandwidth to contemplate whether it was worth it. Add Hollywood mogul Harvey Weinstein, Amazon’s entertainment chief Roy Price and KB Home’s Jeffrey Mezger to the growing list of executives making headlines for the wrong reasons. One of the most powerful producers in Hollywood, Weinstein was forced out after national news reports detailed numerous incidents ranging from aggressive harassment to sexual assault of female employees, actresses and models, along with a culture of complicity within the Weinstein Company that included the use of nondisclosure agreements, monetary payoffs, and aggressive legal tactics to keep victims quiet. Weinstein’s deplorable behavior over several decades has been described as one of the worst-kept secrets in the industry. The Weinstein fallout is spreading through the entertainment world, with Amazon suspending Price over allegations of sexual harassment, as well as Price’s close business relationship with Weinstein. Mezger, the leader of one of the largest homebuilders in the country, lit up the internet in September after an audio recording from a home surveillance camera captured him shouting profanities and derogatory comments toward his neighbor, the comedian Kathy Griffin. In response to the PR crisis, KB’s board moved quickly and announced that it would cut Mezger’s bonus by 25 percent. Until recently, boards found it easier to look the other way when executives acted badly. 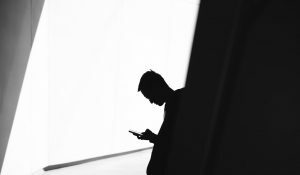 With social media able to spread the shame and public opinion on executives turning, public sentiment is changing when it comes to CEOs behaving badly. Execs should know by now that they’re only one bad decision away from a pink slip. Writes the LA Times: The homebuilding company’s prompt reaction to its CEO’s public misbehavior suggests that the ground has been shifting beneath the feet of top executives who stray over the line. In years past, a board might take months to ponder discipline for a CEO who was caught using abusive language (typically against subordinates), engaging in sexual harassment or even consensual adultery, or doing something otherwise immoral. There would be an internal investigation, the commissioning of a report by an outside law firm, followed by a carefully calibrated punishment, up to and including dismissal. Public tolerance is wearing thin, however. A survey earlier this year by Stanford’s business school concluded that the public wants to see punishment meted out severely and quickly to misbehaving CEOs. Lying about the company’s product was deemed the worst offense, with nearly two-thirds of respondents saying the CEO should be fired. Bad language and behavior, even in private, was ranked the second-worst offense, with more than half of respondents saying the executive should be fired, followed by having an affair, lying about other matters, financial chicanery, and holding inappropriate views. There was a time when board members were inclined to look the other way when leaders abused their power and privilege. Many no doubt still prefer to sweep the details under the rug. But public tolerance for this kind of behavior is changing, and that means if you run the company, you could be held responsible for just about anything you say and do in public. And smile, you may just be on camera. Klaus Kleinfeld of Arconic wrote to a hedge fund manager without the board’s knowledge (2017). The executive leadership vacuum at Uber and a series of PR missteps and management blunders is exposing the contentious push-pull dynamic between private equity and venture capital investors and startups that usually plays out behind the scenes and rarely makes headlines. The rancor has revealed divisions within Uber’s early investors and its founder and former CEO Travis Kalanick as players with large controlling interests in the company jostle with management over control. At the heart of the issue is the real and perceived power wielded by early Uber funders like Benchmark Capital who feel entitled to some degree of say-so over management decision-making in exchange for making a relatively risky investment in unproven startups. In the case of Uber, these investors are increasingly concerned by the executive leadership vacuum and want to protect the company’s sky-high valuation in light of recent PR problems, workplace culture and executive shakeup. Benchmark filed a suit against Mr. Kalanick, claiming he knew about misbehavior at Uber, including alleged sexual harassment, in June 2016 when he persuaded Benchmark and other shareholders to allow him to add three board seats under his control. The misbehavior led to a months-long probe into Uber’s culture by former U.S. Attorney General Eric Holder’s law firm, which issued an internal report in June. This contributed to Mr. Kalanick’s ouster as CEO that month. Benchmark is seeking to force Mr. Kalanick off the board and have control of the three seats returned to the board. It said this week that it acted in part because Mr. Kalanick was impeding the search for his replacement. There’s often a deal-with-the-devil quality to investment relationships between startups and VC funders. For startups with no track record, let alone profits, these are the investors that are willing to come to the table, and the funding has real and implied strings attached. Meanwhile, Kalanick is the poster boy for founder’s syndrome, in which charismatic founders wield disproportionate power and influence, leading to a wide range of problems as a business evolves beyond startup mode. While we’re unlikely to see a power squabble out in the open like this, it’s undeniable that private equity investors are increasingly likely to throw their weight around and impose their will if they sense that their investment is a risk. One thing is certain, a situation like this where management is at odds with the owners is bad for everyone involved. A recent New York Times article by Conor Dougherty puts a human face on the damaging consequences that result when workers in broad swaths of the economy are required to sign noncompete agreements as a condition of employment. While the statutes have been widely embraced by pro-business state lawmakers over the last decade, regional economies are starting to feel a negative impact. By effectively preventing experienced employees in entire sectors – including vast portions of the Texas economy like oilfield services – from leaving to work in similar positions at other companies, the result is a stifling of innovation in which experienced workers change careers rather than advance in their chosen professions. Other negative effects include depressed wages and an exodus of experienced workers to states that do not have non-compete statutes. 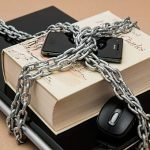 Recent studies have found that about one in five U.S. workers are bound by non-compete agreements but only a fraction of workers burdened by noncompetes are in possession of the kind of sensitive business information that the statutes are meant to safeguard. As Dougherty notes, the impact on individual workers who inadvertently run afoul of these agreements can be devastating. In addition, states with strict enforcement end up suffering from a brain drain as their most valuable workers move elsewhere for better career opportunities. An employee with 10 years of experience should be an asset, but in this environment such experience is a liability in terms of career mobility. Meanwhile, California does not enforce such statutes, and companies based there continue to be worldwide leaders in innovation. Used correctly, noncompetes serve a valuable purpose in matters involving employees with access to truly confidential information and for senior executives. 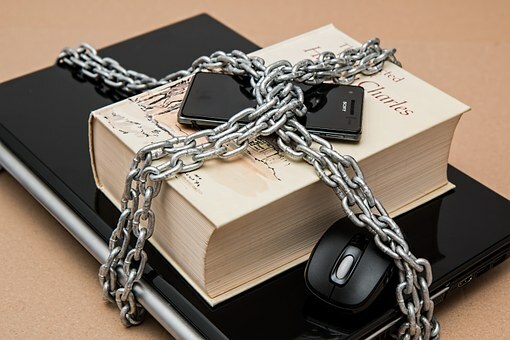 Businesses are justified to protect their trade secrets and truly confidential information, but the over reliance on these statutes threatens to harm businesses and workers alike. In a move that surprised no one watching the drama between Uber and Google’s Waymo self-driving vehicle division, Uber fired engineering whiz Anthony Levandowski on Tuesday. The company thought it scored a real coup last year in hiring Levandowski to lead its self-driving vehicle effort. The hope was that he would help the company leapfrog to the head of the self-driving technology and artificial intelligence pack. But the high-profile recruitment so ured almost immediately when Google/Waymo raised questions about trade secrets and internal documents it believed Levandowski took with him after leaving Waymo. Levandowski’s refusal to cooperate with Uber’s defense and his surprising decision to invoke his Fifth Amendment privilege against self-incrimination crippled Uber’s ability to defend itself from the trade secret theft allegations. Uber general counsel Salle Yoo had given Levandowski until May 23 to turn over documents related to that case; when that deadline came and went last week, Levandowski’s days were numbered. As previously reported in Legal Issues in the Executive Suite, Uber bumbled this case from the beginning. Poaching top talent from competitors is enticing and potentially valuable for businesses in highly competitive fields, but there’s a right way to do it. The rules are fairly clear and based in common sense: When a new employer hires talent who may have trade secret information from a competitor, the new employer should take reasonable steps to ensure it doesn’t try to use the previous employer’s confidential information. As a condition of employment, the new employee should be required to sign documentation spelling out that the new boss doesn’t want any trade secrets or confidential information, and that the new hire is promising no such information has been taken or will be used at the new job. Additionally, agreements like these should provide that the new employee agrees to cooperate in any investigation or litigation related to any claims of trade secret infringement. Finally, if the new employer finds out that any of these promises has been broken, it should be crystal-clear that the new hire will be subject to discipline, including termination. In this case, while privilege logs released by Uber indicate that its lawyers discussed legal concerns involving the recruitment of Levandowski, there’s no indication that the company addressed these most basic practices to ensure that star employees don’t bring trade secrets and work products with them. Faced with the increasing likelihood of an injunction in the near term and ultimately losing the lawsuit, Uber was forced to cut losses and move on without Levandowski. Tech companies are notoriously cavalier about what they view as innovation-stifling legal matters. If this is not a learning moment for Uber, then it should be for the rest of the business world. It’s too early to know the degree of vetting that occurred before Uber handed Anthony Levandowski nearly $700 million for his fledgling autonomous truck company named Otto and brought him aboard to lead Uber’s self-driving vehicle division. 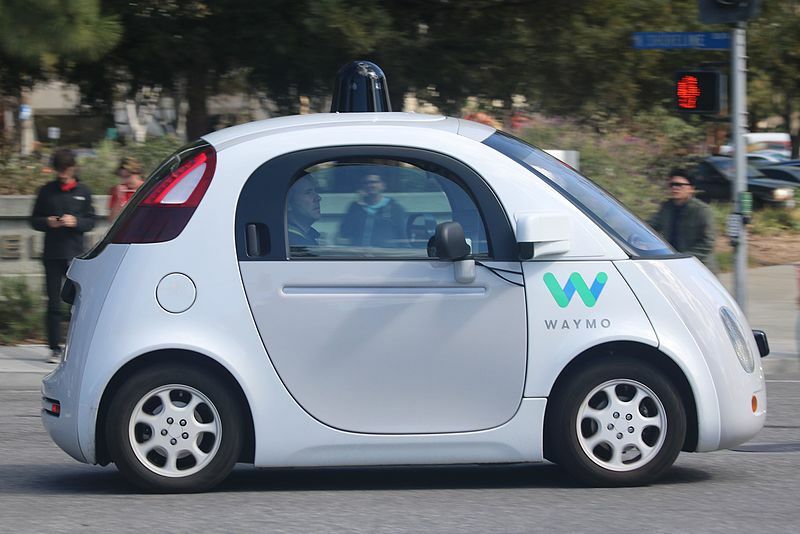 A high-profile trade secret theft lawsuit filed by Google’s Waymo self-driving car project raises serious questions about whether Uber conducted the kind of fundamental review of potential conflicts that should come when companies hire high-profile talent from competitors. As Uber assembles its legal defense, Levandowski’s decision to invoke his Fifth Amendment privilege puts Uber in an awkward position to say the least. Levandowski had helped Google take the lead in self-driving technology, including key innovations in LiDAR sensors that allow driverless vehicles to monitor surroundings. Levandowski left Google in 2016 to form Otto, and according to the complaint, Google began an investigation after learning that Uber had acquired Otto only seven months later. Google’s internal review found that Levandowski had downloaded 14,000 design files from Google’s car project before leaving to form Otto. So far, the judge presiding over the case has been unimpressed with Uber’s response, which claims that lawyers cannot find the 14,000 documents in question on Uber’s servers. Meanwhile, Levandowski’s computers have not been searched because he has invoked his Fifth Amendment right to avoid self-incrimination. Privilege logs released by Uber show that the company’s lawyers discussed legal concerns about the acquisition months before it was announced. While there can be enormous value in attracting key talent that can help solve problems and leapfrog technology, this kind of high-risk talent acquisition is not easy to navigate and there is a right way to do it to avoid the legal mess Uber finds itself in. It’s usually not one mistake but a compounding of mistakes that gets companies in trouble in situations like this, and Uber may be learning the hard way that high-level hires and acquisitions are areas in which advice of experienced counsel is critical.